iOS 7 Beta 2 Tidbits: New Welcome Screen, Updated Siri Voices, iCloud Fixes, Voice Memos App - iPhone.MY - Daily News On Mac, iPhone, iPads, iPods and more! Apple seeded iOS 7 beta 2 to developers today, adding a number of new and improved features to the operating system including support for the iPad, improved Siri integration, and the missing Voice Memos app. Welcome Screen: iOS 7 beta 2 introduced a new Welcome Screen that asks for an iCloud password, allows users to turn on iMessages and choose associated email addresses, and set up a passcode on the device. 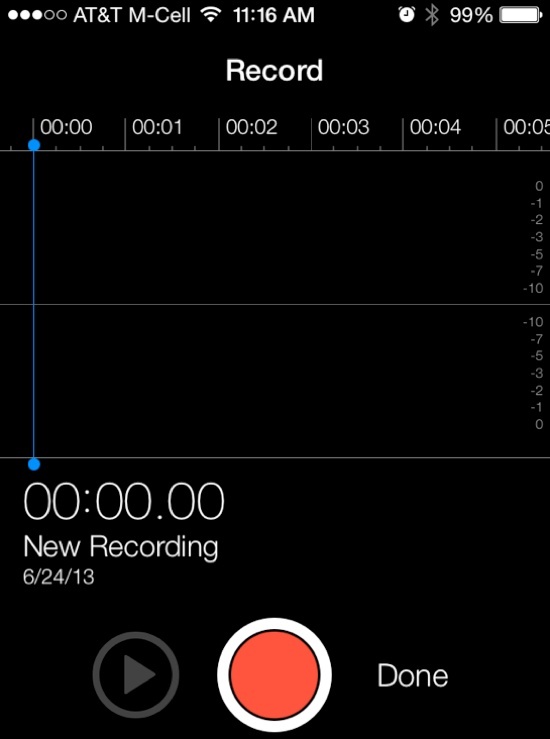 Voice Memos: The Voice Memos app was missing from the first iOS 7 beta, but with beta 2, the app has returned and is now fully functional. Find My iPhone: The Find My iPhone setting in iCloud now offers up new language that specifies that the app will help users “remotely locate, lock, erase, and prevent re-activation” of a lost iPhone. Siri: Siri requests seem to load much faster with the new iteration of iOS 7 and there are also male and female voice options available. 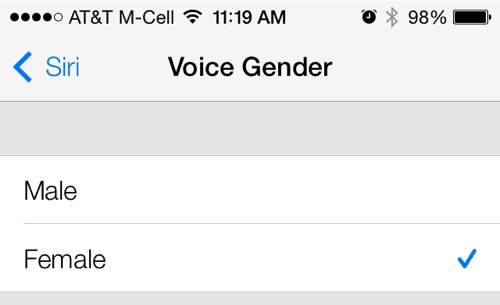 These can be accessed in the General Settings under the Siri heading, which offers a new Voice Gender option. While male and female voices have been available in other languages, this is the first time English male/female voices can be activated. Control Center: Parts of the Control Center have had a slight redesign, with a new clock icon. The icon, which was previously dark, is now a simple clock outline. 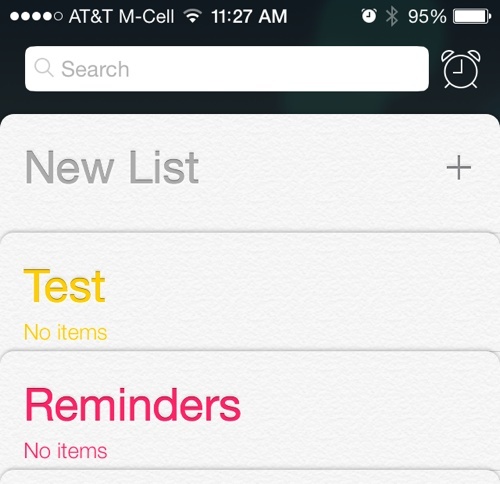 Reminders: Reminders has had a slight redesign with a new list layout that is more compact than the previous layout, and a new clock icon next to the search bar will allow users to locate scheduled reminders. iCloud: iCloud Backups are now available once again. The first iOS 7 beta did not support automatic backups. Spotlight: Searching via Spotlight is much quicker, with results being displayed almost instantaneously with far less of the lag that was present in the first beta. Messages: The Messages “Send” button is bold and turns green or blue when text is typed. There’s also a new bubble animation shown when messages are sent. Swiping to the left on a message will display time stamps. Group chats in Messages also display contact photos next to texts. Music: The music app has seen a number of bug fixes to correct interface errors and other issues. Lock screen album art has also been repaired for the iPhone 4/4S. 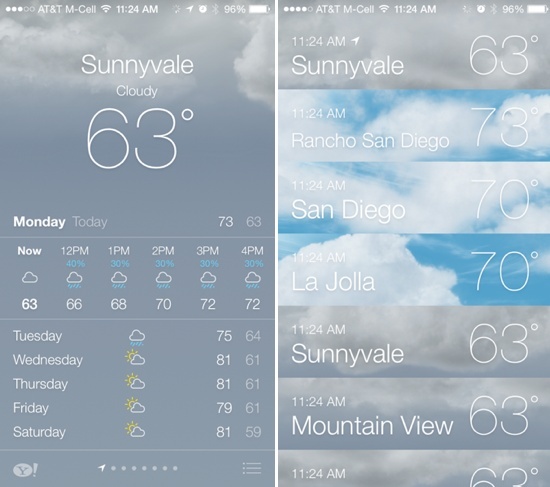 Weather: In the weather app, a new icon on the bottom right of the screen brings up a listing of the weather in all of the cities tracked in the app. Multitasking: Swiping up to close out apps works much more smoothly on the iPhone 5 following the update to beta 2.
iPad Camera: As noted by 9to5Mac, iOS 7 adds an HDR option to the camera on the iPad. Apple is likely to maintain a regular update schedule for iOS 7, bringing minor performance boosts and changes ahead of the operating system’s public release, which is expected to come in the fall.